Arbrook’s O4W based ESS goes from strength to strength. Some of you will know that I got involved with Ardbrook and their O4W based ESS system sometime ago. From the fledgling system that I took over to Ireland for them to review, Bill and the team at Ardbrook have taken the system and enhanced it to become a very functional system used by some prestigious names. Ardbrook can now take payslips from their other payroll offering PayDay(as well as other payroll systems). 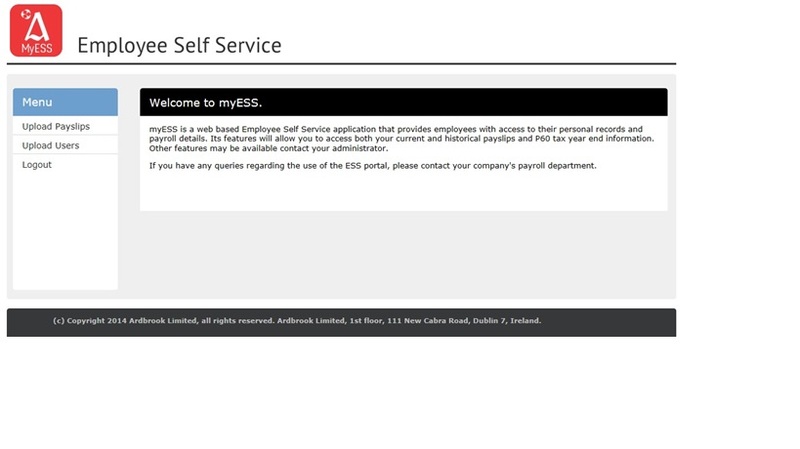 Ardbrook basically takes an electronic copy of the payslip file, converts it and loads it onto the MyESS.ie website for access by the associated employees using Ardbrook’s payslip design so as not to infringe any copyrights. Ardbrook has now made this feature available to employees calculated using other payroll packages, including UK payrolls. Ardbrook is currently working on this for a client with a large UK workforce. Ardbrook is willing to develop others as required.